Okay, so now it’s official—you’re a dad. Welcome to a club that’s unlike any other. 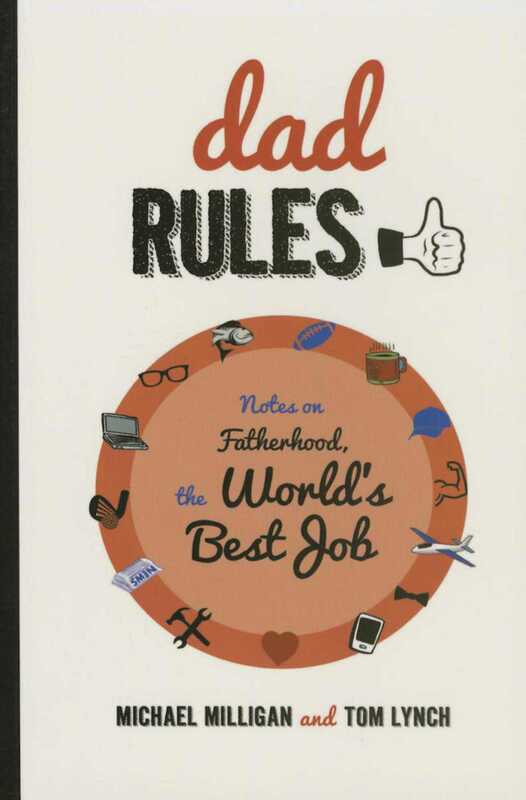 Dad Rules was written with the intention of putting a smile on the face of any man who has navigated—or is about to navigate—the often curvy, pothole-filled road of fatherhood. Authors Michael Milligan and Tom Lynch know firsthand that the responsibility of being behind the wheel on such an unpredictable journey can often be an unsettling experience, especially with a two-year-old in the backseat happily smearing his ice cream over every inch of available window, and your wife next to you offering her always helpful advice to “Slow down,” “Turn left at the next . . . aw, you missed it,” and “I knew we should have brought a map.” So luckily for you, Michael and Tom are here to help. Let Dad Rules act as your personal GPS. With humor and insight, it will guide you from that life-altering moment when your wife says, “Honey, we need to talk,” all the way through pregnancy and birthing classes, the birthing process itself, infancy and toddlerhood, adolescence, and, finally, the day eighteen years later when your little bundle of joy leaves the nest (possibly to return shortly after, jobless and in desperate need of a haircut). So fasten your seatbelt, keep your eyes on the road, and enjoy the journey of being a dad. It will be quite a trip.